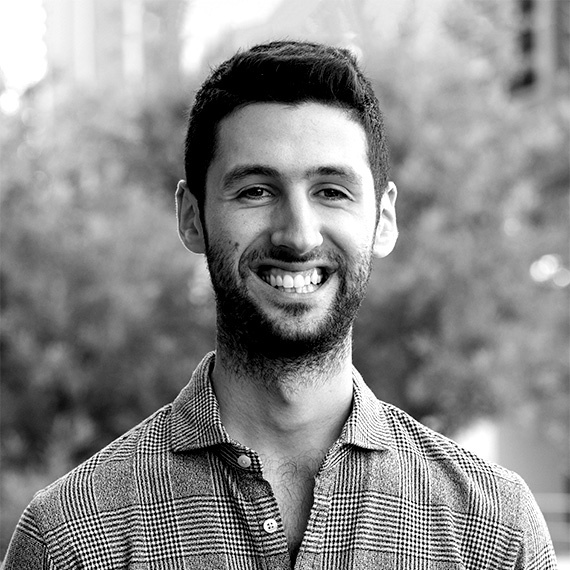 Yianni Kouros is a Melbourne AUS based, brand strategy & design consultant with strong experience in identity design. He has a great grasp of UX, publication, photography & motion graphics too. Really though, he just likes helping businesses grow. "Born in Melbourne in the spring of '91, but did my growing up in Adelaide." "After finishing high school, I studied architecture for two years before moving back to Melbourne in 2012 to pursue graphic design. I graduated from Swinburne University in late 2014 with a Bachelor of Communication Design, and in January 2015 jumped on the opportunity to work in the family business, awpl, as the graphic designer." "The business evolved dramatically in the years to follow, and as a result, so did the Design Team; growing from a sole designer to a team of four." "Since 2016, we worked intimately on several successful major pitches, branded Australia and New Zealand's leading travel retail stores, and helped to implement a permanent culture and training program. It was a constant pleasure to be a part of this team." "From early 2018, I started the next phase of my career as a brand strategy & design consultant." "Outside of work you would probably find me with my family, my mates, playing games, watching soccer, docos or movies." "If you've made it this far and were wanting to read up on another Yianni Kouros, head on over here." Since 2016, we worked intimately on several successful major pitches, branded Australia and New Zealand's leading travel retail stores, and helped to implement a permanent culture and training program. It was a constant pleasure to be a part of this team. From early 2018, I started the next phase of my career as a brand strategy & design consultant. Outside of work you would probably find me with my family, my mates, playing games, watching soccer, docos or movies. If you've made it this far and were wanting to read up on another Yianni Kouros, head on over here. For new project inquiries, big or small, let's schedule a talk.